If you’re looking into ways to install Windows 10 on ARM on the Raspberry Pi 3, here’s pretty much the simplest method you could get. 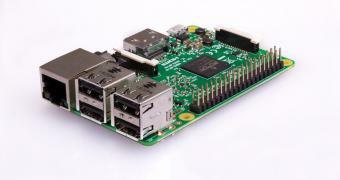 Developer Jose Manuel has created a tool called WoA Installer for Raspberry Pi 3, an automated solution that takes care of everything for you in order to deploy the full version of Windows 10 ARM without the need for any other tweaks. According to the official GitHub page of the project, the app can be used for any Raspberry Pi 3 Model 3 or B+, and you also need a microSD Card and the official Windows 10 ARM64 image. Additional instructions on how to install the full version of Windows 10 on the Raspberry Pi are available on the linked page, though most developers will probably notice the whole thing is easy as pie as they only need to select the drive for installation and to point to the Windows image.